The drought in California has left islands on landscapes that generally would be under water. 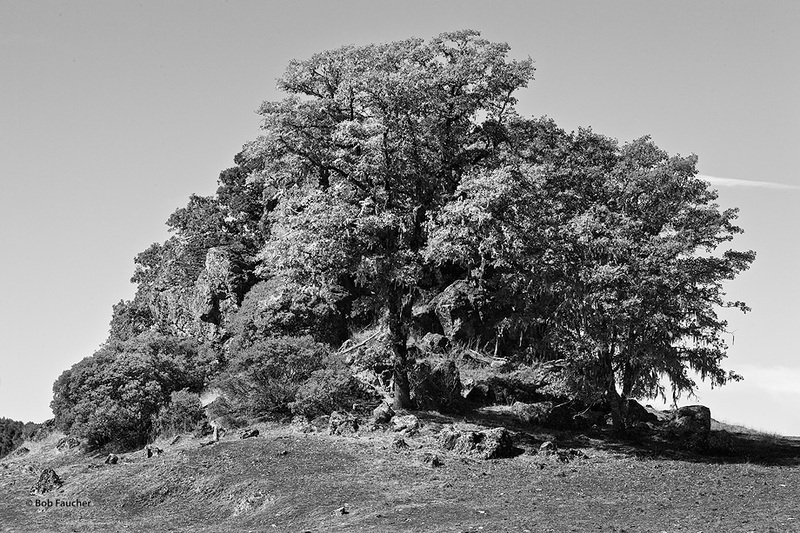 This mound of rocks and soil, heavily populated by oak trees, appears to be surviving in spite of the dry conditions. The shade reduces evaporation and the roots and rocks resist wind erosion. Photo © copyright by Robert Faucher.